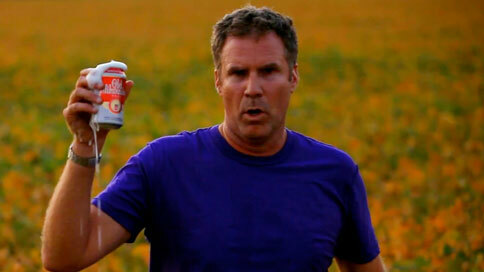 Old Milwaukee Airs Will Ferrell Super Bowl Ad in North Platte, Neb. Will Ferrell's series of local Old Milwaukee ads—which were shot and aired only in Davenport, Iowa, Terre Haute, Ind., and Milwaukee—was one of the funnier and more peculiar campaigns of 2011. So, it's nice to see the pairing add a Super Bowl commercial last night. In the spirit of the campaign, it was apparently the most enthusiastically local of local buys, with Deadspin reporting that it aired only in North Platte, Neb. That is evidently the hometown of New England running back Danny Woodhead, for what it's worth. Like the previous spots did, this one makes fun of the themes and structures of advertising, with Ferrell walking, gecko-like, through amber waves of grain and then getting cut off before he even begins his sales pitch. Also like the previous spots, good luck finding a version of this one that looks even halfway decent. The brand linked to an even crappier version from its Facebook page. All in the spirit of authenticity and anti-glamour, perhaps. UPDATE: Finally, a better version of the video has surfaced (below).